Historic mixed use buildings with ground floor retail in Port Townsend, Washington. Mixed use downtowns were the hearts of our cities for centuries. 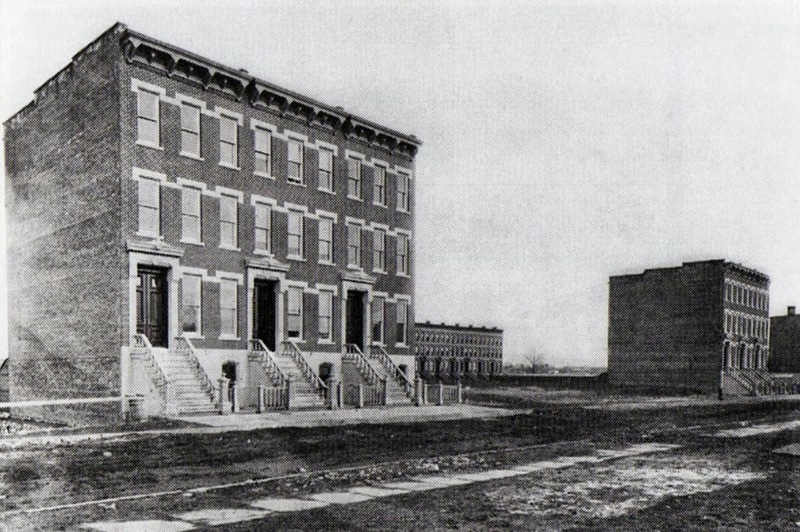 Early 20th century reformers, emboldened by their successes in zoning dirty industrial uses away from residential areas, decided that commerce was also an unhealthful influence on neighborhoods and began to outlaw the mixing of uses in early zoning ordinances. As the auto age ramped up, commerce often came hand-in-hand cars and traffic, so the urge to separate retail from homes grew stronger. The mixing of retail and residential uses was prohibited in most urban areas for a long time, and it was one of the factors in the long decline of American downtowns. Jane Jacobs broke with the conventional wisdom and advocated for mixed uses in the 1960s, but it took planners a while to listen. By the 1990s and 2000s urban revitalization professionals realized that mixed use development was something to be embraced. They saw that vibrant downtowns and urban neighborhoods had mixed uses, and that the most fun, active streets were the ones that had shops on the ground floors. Unfortunately, some cities went overboard and required ground floor retail everywhere. Many of the mandated retail spaces sat vacant, because the population of the area just couldn't support them. We need a sensible approach to mixed use that reflects realities and limitations of retail, while also maintaining a commitment to vibrant streetlife. To be successful we need to redefine retail and deploy it in a very strategic way. 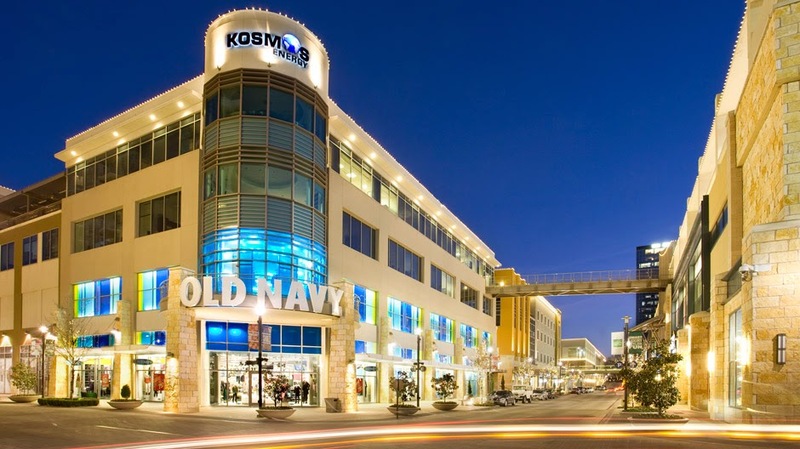 A colleague of mine recently pointed out that every project rendering seems to show an Old Navy in it. We are obsessed with getting mall-style retail into our downtowns, and we need to get over it. Successful downtowns aren't always going to be places where you can do back to school shopping. It's great when it happens, but it is difficult and rare. Generally, America is over-retailed, and online shopping is shrinking the need for brick-and-mortar shops. Dining, entertainment, and personal services are areas in which downtowns and other walkable urban neighborhoods can thrive, and malls and the internet typically cannot. We need to expand our definition of retail to include restaurants, bars, coffee houses, nightclubs, salons, theaters, live music venues, and similar uses. The focus should be on businesses that generate and benefit from high levels of foot traffic throughout the day and week. Until somebody comes up with something catchier, I suggest that we call this expanded concept Retail+. This is the dream, apparently. I think this is pretty good, too. When creating zoning codes for downtowns and walkable neighborhoods, we need to think like mall designers and retailers. We need to pull people through areas strategically based on the science of what motivates people to walk into some shops and not others. Overall, our focus should be on lining sidewalks with active ground floor uses and avoiding dead blank walls. 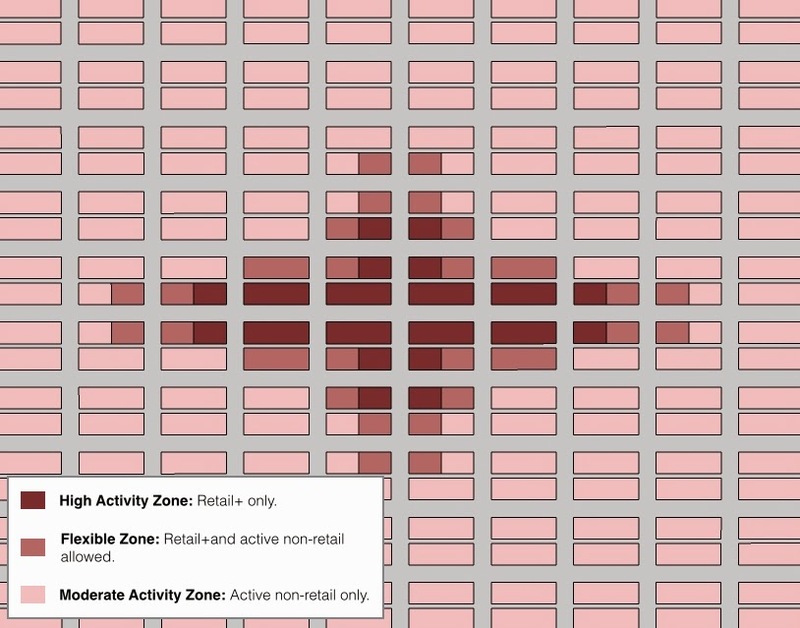 High Activity Zone: Retail+ uses need to be clustered together in the most visible, accessible, central, and dense part of the neighborhood, which is where they can be most successful. We need to engineer the hustle and bustle that retail+ thrives on and that people love to see on their main streets. Location. Traditionally, retail clustered on the busiest streets, because that's where the customers were. I think that's where we need to put it today, too. Unless a retail area is already well-established on a side street, focus your efforts on major streets where the most paths cross. These are areas of pooled use as Jane Jacobs called them, and it is where retail+ will generally be most successful. Permitted Ground Floor Uses. Retail+ uses as described above are the only uses that should be allowed on the ground floor in the High Activity Zone. The only exception should be lobbies for upstairs offices, apartments, and hotel rooms. I don't typically like to regulate land use too tightly, but allowing other uses to intrude into this zone will diminish its success. Size. The size of this zone should be based on the existing and planned population of the area, their disposable income, and how much retail+ they can reasonably be expected to support. In most cases, this will probably only be one street, and it probably won't run for longer than 3 or 4 blocks. If it isn't clear what the right size is, then error on the side of being too small. If your little retail area is bursting at the seams in a few years, then you can expand it. That is much better than letting shops bleed out everywhere and never getting the critical mass that you need for success. There are recommendations on how much retail space a given number of people can support available from the International Council of Shopping Centers and consultants such as Robert Gibbs. Some of this research is based on suburban situations, but it is still helpful. Design Considerations. Your retail+ businesses only need to be 20 to 50 feet deep to get the sidewalk hopping, and I wouldn't recommend mandating it for the entire depth of the lots and blocks. Non-retail+ uses such as parking, apartments, and offices can be located behind shallow retail+ uses if they don't need the space. Entrance frequency is important, though (more on that later). Try to make sure you have an entrance into a business every 25 to 35 feet along the sidewalk at the most. If you have a big use, such as a department store or a cinema, then set it back a bit and wrap it with liner shops so that your entrance frequency doesn't get too low. shopping street in the River Park lifestyle center in Fresno. This is an old trick, and the liner shops in Fresno's Warnor's Theater (1928) attest to that. 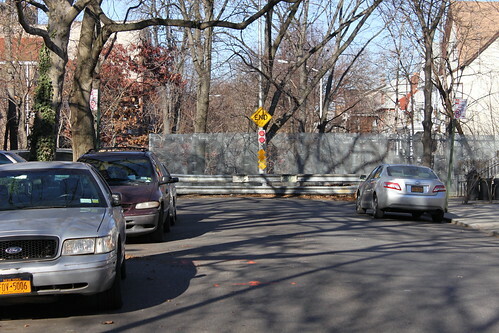 Moderate Activity Zone: Too many urban streets are lined with dead blank walls. These repel pedestrians, hurt property values, and decrease safety. While we can't support retail everywhere, that doesn't mean that other areas can be allowed to be lifeless. We still need active frontages in these areas that put eyes on the street, than pull pedestrians through the block, and that generate coming and going activity at the sidewalk. Location. This should be the treatment for everything outside of the heart of the neighborhood. Permitted Ground Floor Uses. Active non-retail uses should be the only uses permitted on the ground floor in the Moderate Activity Zone. Apartments and offices should be the primary ground floor uses. Live/work units are also fantastic active non-retail uses and should be encouraged. Some small neighborhood serving retail can fit into these areas, but they should be limited to corners, and should be very small, perhaps under 1,000 square feet. A little deli that serves people living upstairs or a laundromat can be fine, but anything significant, especially if it will draw people from outside of the neighborhood, needs to be confined to the High Activity Zone. Retail+ uses can't be allowed to leak into this area, or you'll never establish a vibrant retail+ scene in the core of the district. Design Considerations. Ground floor apartments should each have their own entrance to the street, which should be accessed via a stoop and/or porch frontage. Ground floor residential doesn't necessarily need to be set back from the sidewalk, but it should be elevated by a few feet to provide some privacy. Ground floor offices should have storefronts which resemble retail storefronts. Live/work units should typically be accessed by storefronts, although I have seen some cool ones accessed by stoops. It is still ideal to have an entrance into a business or apartment every 25 to 35 feet. Don't do this. Anywhere. Ever. Ground floor apartment with stoop and porch in San Diego. This is a great active non-retail use. Storefront office in Pasadena. Another good active non-retail use. Ground floor live/work units with storefronts in Redwood City. Flexible Zone: Here we can allow the market to experiment a bit. Retail+ and other uses can be allowed to mix in this zone, and as the heart of the neighborhood gets going, this flexible zone is the ideal place for retail+ to expand into. Location. The Flexible Zone should only extend a half a block or a block outside of the High Activity Zone. Permitted Ground Floor Uses. Retail+ and active non-retail uses are both fine in the Flexible Zone. Design Considerations. The design parameters for frontages and entrance frequency in the other zones apply here, too. A High Activity Zone should serve a walkable ped shed with a 1/4 to 1/2 mile radius. 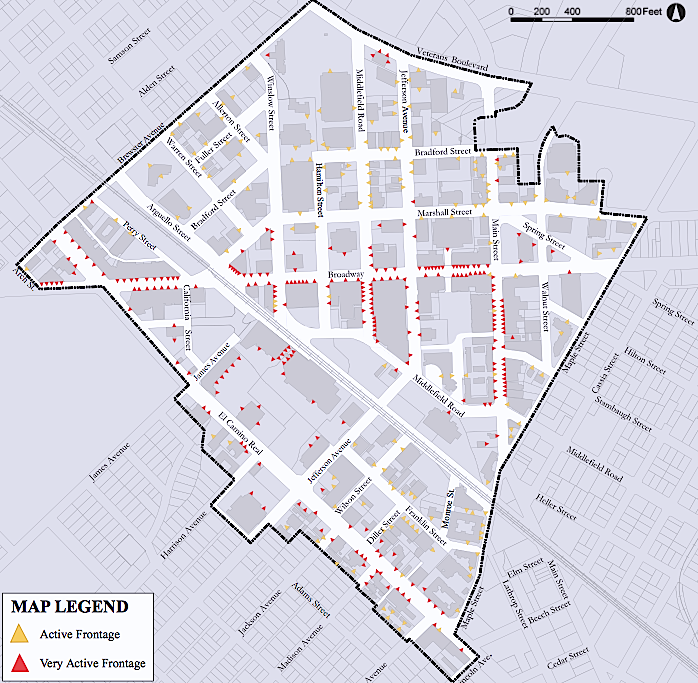 If your downtown or other urban district is larger than that, you should have a series of High Activity Zones spaced 1/2 to 1 mile apart, each of which serve the surrounding area that is within a 5 to 10 minute walk. I'll wrap up this post with some thoughts about entrance frequency. It is sometimes difficult to keep entrances close together, but it really does matter. More entrances means more people are coming and going throughout the day, which means the street feels safer and more interesting. Retail experts say that most people won't venture past a gap of more than 50 feet or so between stores. When we were preparing the Downtown Redwood City Precise Plan, the consultant and staff team conducted an analysis of the existing entrance frequency in the area. It was pretty enlightening. The yellow marks are residential and office entries, the red ones are retail+ uses. The blocks with tight clusters of entrances are the most fun and successful areas. The blocks with few or no entrances are shunned. When a cool business comes along that wants to take up 300 feet along the main drag, it can be really difficult to say no. However, it is essential to work with them and get them wrapped with liner shops. The neighborhood, and the cool new business in question, will all be more successful in the long run if you can get this right. A balanced approach to retail is critical to downtown and walkable neighborhood success. I hope this post and our experiences in Redwood City help to stimulate new thinking on the subject, and I look forward to continuing to learn from other cities who are making headway on creating vibrant urban retail and streetlife. Hello, Internet! I'm still alive! If you follow this blog, you may be wondering why I abruptly stopped writing. Well, after my last post on Downtown Burlingame, my life got really crazy. Someone made me a job offer that I couldn't refuse, so after 11 years of happily contributing to the creation of a great downtown in Redwood City, I left the Bay Area for California's wild interior. The last several months have been dominated by relocation-related activities that kept me away from plannerdan.com. Where did I go? I am now in Fresno, California. 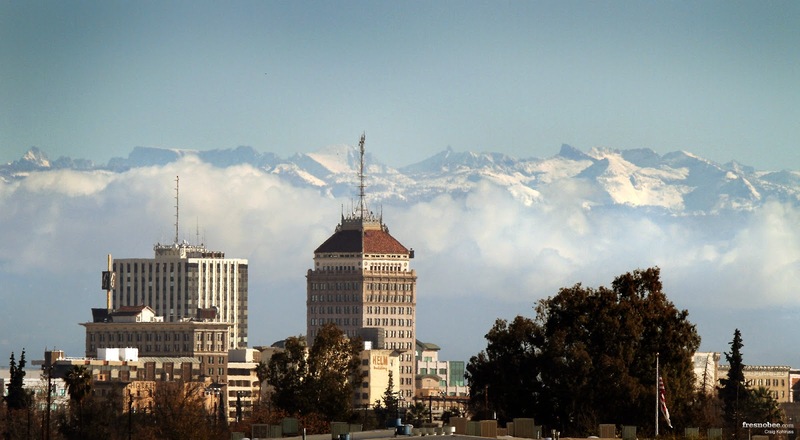 With a population of 515,000, Fresno is the 5th largest city in California, and the 34th largest in the US. It is the heart of a very productive agriculture region, and industry related to farming and food processing fuels much of its economy. 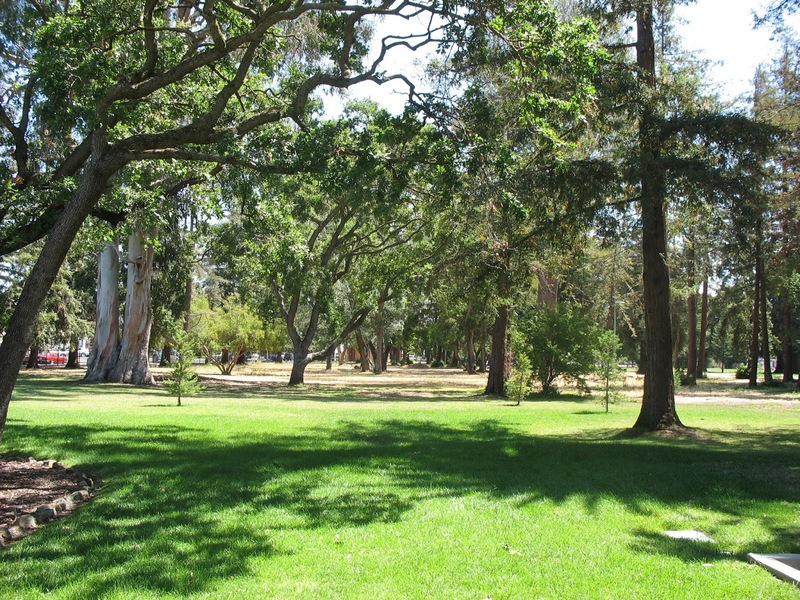 It is central California's primary hub of finance, health care, education, and culture. Burlingame, California is a city south of San Francisco on the San Francisco Peninsula. It features a very nice downtown district which has, among other virtues, an unusually high quantity of retailers. While great dining and entertainment has come to many revitalized downtowns, most just can't seem to nurture a good retail scene. Burlingame has managed to pull it off. The City is in the process of giving a makeover to Burlingame Avenue, their downtown's main street. I visited the area recently, and the central portion was completed and it looked gorgeous. The new design is a big improvement, and I think they are doing a wonderful job of making a great place greater. When completed, it may be one of the most beautiful streets in Northern California. 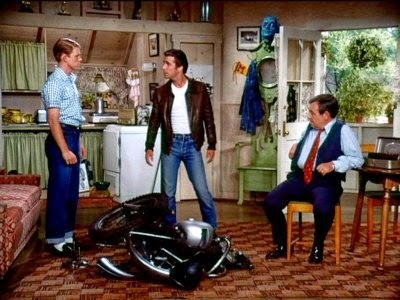 Fonzie with the Cunninghams in his accessory apartment above their garage. Accessory apartments are small secondary housing units which are built on a lot with a single-family house. They have been put in attics, basements, above garages, and in detached back yard cottage structures. They used to be very common, but were outlawed in many communities during the mid-twentieth century. They are often called granny flats or ADUs (accessory dwelling units), but let's forget all of that. Granny Flats makes them sound old fashioned and out of date, and ADU sounds like a disease or a boring bureaucratic mechanism. I propose that from this point forward we call them Fonzie Flats. Housing Affordability at the Breaking Point - Part 4: Do We Need Affordable Housing or Affordable Living? Housing Affordability at the Breaking Point - Part 3: Housing Shortage or Urbanism Shortage? Greenwich Village, New York City. A lot of people enjoy this sort of thing. In case you hadn't yet noticed, urban living is pretty hot right now. Preference surveys show time and time again that a strong share of the overall American public would prefer to live in a walkable urban neighborhood than a suburban subdivision which caters only to the automobile. A majority still prefers suburban living, but the minority which craves city living is large and getting larger. I'm happy to announce that my humble little blog has hit a cool milestone. Right at the New Year I received my 10,000th page view. Some urbanism blogs get that in a week, but for my backwoods-of-the-internet website it is kind of a big deal to get that many hits just before one full year of posting. I'm happy that some folks are checking it out, and I hope it is half as useful to you as my favorite blogs are to me. Well this is just great. Now I'll never be able to afford a used Hyundai. Gentrification is back as a hot topic. 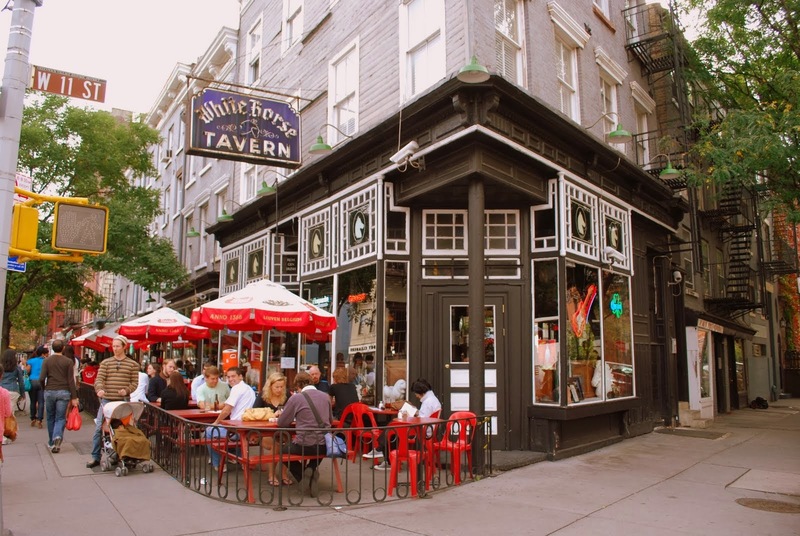 High income people of various stripes (in San Francisco it is tech workers, in New York it is bankers) are ruining nice, bohemian neighborhoods by moving into the area and driving up the rents. While it is understandable how people would interpret the situation this way, this idea is misguided and counterproductive. I am a big proponent of Incremental Urbanism, which is the creation of great places on a lot-by-lot basis, by dozens or hundreds of land owners and developers over time. Many of our favorite historic cities were built this way, and they still work very well today. I just wrote a blog post for the California Chapter of the Congress for the New Urbanism. As you may know, CNU is famous for large, beautiful, walkable, master-planned projects. Things have changed, though, and these opportunities are dwindling in California. I believe that California's new frontier is on small, non-contiguous infill sites within our existing towns, cities, and metropolitan areas. Can we pivot and master this new realm? I propose that it is essential that we do, and in my CNU-CA blog post I explore how it can be done. Check it out here. Black Friday at WalMart? Zombie Apocalypse? Nope, just a San Francisco open house. 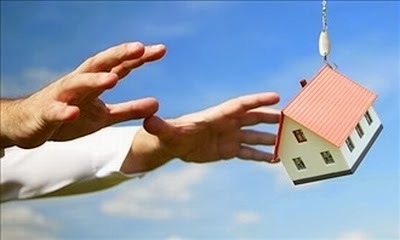 In most areas with out-of-control housing prices, it is due in large part to the supply of housing being far lower than the demand for housing. My county is tens of thousands of units short of what is needed today, not to mention the homes that we will need to build to accommodate future needs. Only official deed-restricted Below Market Rate units feel satisfying to some housing advocates, but BMR strategies alone will never fix the problem in areas with such severe market imbalances. 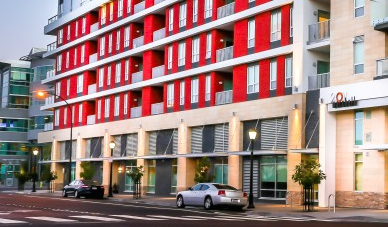 Despite the ravages of the 2008 housing bubble burst, and the ensuing recession, affordable housing is a tremendous problem in many parts of the US. The problem is most acute in the big, prosperous metropolitan areas with vibrant urban cores and physical constraints on outward growth, particularly New York, Boston, Washington, and my region, the San Francisco Bay Area. However, it is also an issue in pockets of many other cities in the US, particularly areas that are amenity-rich, job-rich, walkable, and well-served by transit. Every city planner knows the acronym NIMBY, which stands for Not In My Back Yard. It is used to reference people who are against projects. 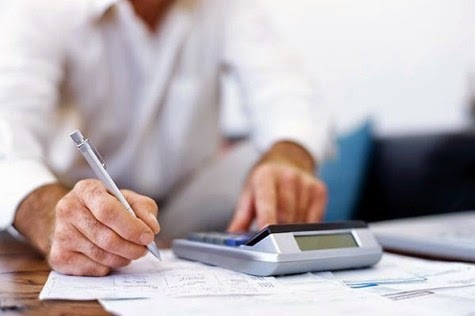 Typically, it is not used for all opponents, but those who are irrational in their opposition, and who are against not just bad projects, but everything. New York, under construction lot-by-lot. For the past 70 years or so, much of what we have built in the US has been of the large, "master planned" variety of development. Large areas of dozens, sometimes hundreds, of acres are all laid out and designed at once, and built out by a single builder or a handful of builders working off of a coordinated design. Once they are built out, these areas change very little over time. During the era of suburban expansion, residential subdivisions, garden apartments, office parks, and shopping malls all fit into the master planned category of development. When New Urbanism rose onto the scene, many of its early and iconic projects, such as Seaside and the Kentlands, were also large, master-planned developments. Unlike their sprawl counterparts they were walkable, compact, mixed-use, and awesome... but they were still large and master-planned. This feels normal to our generation, but historically this is an anomaly. Prior to World War II, and going back for millennia, most development was not of the large-scale, master-planned variety. Rather, most cities and neighborhoods were built lot-by-lot, by dozens or hundreds of land owners and developers. Even when the street and lot pattern was laid out all at once by a city (as in New York's grid of 1811) or a railroad company, the lots were auctioned off to individual parties who carry out the task of building on their own, one by one. In such urban settings, the development of the place is never complete, and many lots will be developed and redeveloped over the years to meet the changing needs of their owners and the market as I discussed in a previous post called Small Lots and the Evolution of the City. Some have referred to this kind of development as Incremental Urbanism. I like that term, and will use it on this blog. Perhaps it is a natural territorial instinct to wall ourselves into a protected enclave. 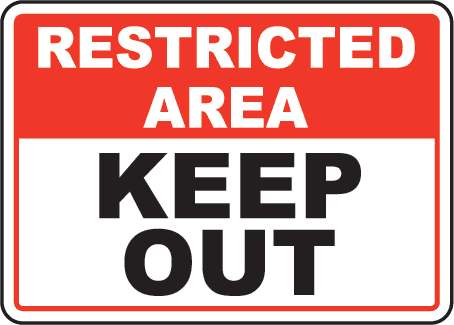 Much has been written about the late 20th Century phenomenon of gated developments, but that isn't the only time we block access in our neighborhoods. The lollipop cul-de-sac street patterns of many American suburbs are also meant to block; and sometimes older neighborhoods are retrofitted to block auto access, pedestrian access, or both. As a planner, I see this a lot, but I recently saw it in action in my own neighborhood. I live in an older neighborhood that, for the most part, has a walkable street grid. Slicing diagonally through the neighborhood is a major piece of underground infrastructure. On the surface, some of this land is occupied by parks, some by parking lots, some is incorporated into adjacent private yards (with the caveat that no structures may be constructed over it), and some is vacant and unimproved. Part of it near me was a park, which was ripped out a while ago when the underground infrastructure was upgraded. Our Parks and Recreation Department held a couple of neighborhood meetings to work on a new design for the reconstruction of this park. This all went very well, and the new park is going to be great, but something really stood out to me. The infrastructure corridor continues past the park through a very long block, providing the potential for a direct pedestrian connection to a major street with some great amenities (including one of the best pizza joints in town). Some of us asked for this stretch, which is presently fenced off, to be opened up. Many people in the area have actively fought this connection, though, and it will not be opened. Why is this done? In a society that is so obsessed with connectedness of the digital variety, why are some of us shunning connectedness in our cities? I have encountered three primary reasons, all of which are rooted in fear. Major streets are usually terrible places. Who wants to stroll along a street like the one above? I certainly don't. Streets like that are noisy, uncomfortable, dangerous-feeling, and uninteresting. Although this kind of street is a staple of the suburbs, most suburbanites and suburban planners aren't crazy about them. Despite the extreme auto-dependence of the suburbs, suburbanites dislike the noise, fumes, and danger of major roadways that, by necessity, must carry so many cars. Who can blame them? Their usual response is to hide from the monster that they created. They often turn the adjacent development's backside toward the street (creating a terrible tunnel effect) or set buildings back far away from the roadway (creating dispiriting voids). The Tunnel. Despite the landscaping, this is not a nice place. At all. Urbanists also rightfully despise such streets. 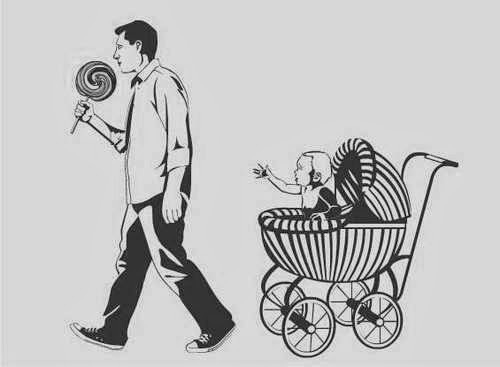 They prefer streets like the one below. This is the dream, right? This is the kind of street where I'd like to hang out. In fact, I have hung out there, and it was great. It was peaceful, comfortable, safe-feeling, and interesting. When urban planners and designers try to create a great street, we usually have something like this in mind. I recently watched a great documentary on YouTube (which is embedded at the end of this post) called Arlington's Smart Growth Journey. 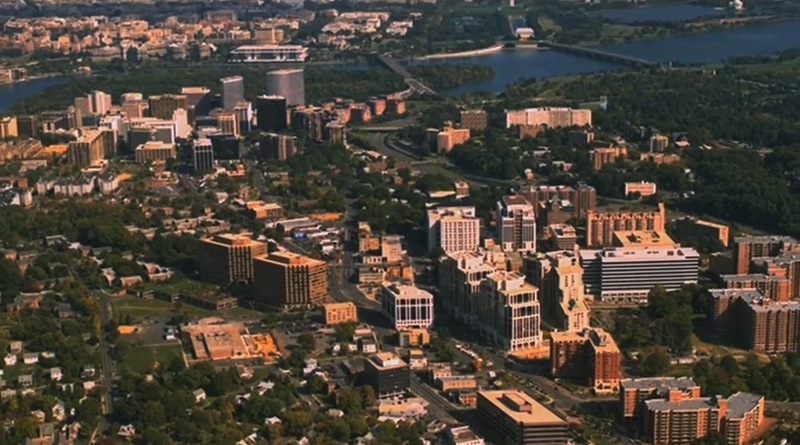 This hour-long documentary, produced in 2009, chronicles the transformation of Arlington, Virginia into a model of effective urban planning and a model for maintaining a high quality of life in the face of tremendous growth and change. Arlington is across the Potomac River from from Washington, DC. In the 1960s they were a suburban community that found themselves in the path of proposed freeways, a proposed commuter rail line, and a lot of anticipated growth. Rather than fight change, they shaped it and controlled it, and used it to improve their community. They were really ahead of their time. They were practicing smart growth and transit-oriented development before those terms even existed. Back in April I was interviewed by the great Russell Hancock for his radio show Inside Silicon Valley. We discussed the ongoing renaissance of Downtown Redwood City and how it came to be. Russ was kind enough to invite me back for another interview. This time it was a double interview with my friend and mentor, Bruce Liedstrand. Bruce was the Community Development Director for Redwood City when things really got under way there, and he was City Manager for Mountain View, California when they revitalized their downtown. The three of us discussed the success of Redwood City and Mountain View and what lessons they may offer for creating more nice places within the Silicon Valley. Presently, the Silicon Valley isn't known for comfortable, walkable, and vibrant urbanism; rather, it is known for corporate office parks and car-oriented suburban development. There are great places in Silicon Valley, though, and there can be more. I recently came across an interesting post over at DC Streetsblog. It calls into question the notion that electric cars are green, and can solve our environmental problems. The article cites research that "considered the full environment costs of electric cars, including the manufacture and disposal of their batteries, which found no benefit compared to conventional cars." Reading this reminded me of an excellent piece by the late Jane Holtz Kay called No Such Thing! that I read in Orion Magazine back in 2001. In it, she handily dismembers the notion that electric car is "green," pointing out, among other things, that even the cleanest cars result in tremendous pollution during production, before they ever hit the showroom floor. Twelve years later, it is still worth a read. While they are certainly cool (especially the Tesla! ), and we should continue to experiment with them, it is dangerous to look at electric cars as the "silver bullet" cure to all that ails us. In America we love to solve problems by buying a new toy, but this one is not only inadequate but a distraction. A great article just popped up over at The Atlantic Cities about parks. The article highlights work by the Trust for Public Land, which mapped park access in the fifty largest American cities. The article makes the point that cities with lower densities have a harder time providing access to parks, because fewer people are within walking distance of them. It is good, and it is short. Check it out. I wrote the following piece for cnu.org's City Spotlight. The original article can be found here. CNU's website is packed with good stuff. Check it out. It is unknown to many urbanists, but one of the most dramatic downtown comeback stories of our generation is taking place in Redwood City, California. I have been lucky enough to serve as Redwood City’s Downtown Development Coordinator for the past ten years, and to play a role in its renaissance. This dynamic district, formerly ridiculed as “Deadwood City,” has seen an amazing turnaround due to an aggressive program of code reform, a strong investment in public spaces, and a strategy of using entertainment as a catalyzing force. Founded in 1852 as a port on a creek leading to San Francisco Bay, Redwood City took its name from the redwood lumber that was shipped from there to build Gold Rush-era San Francisco. When San Mateo County was broken off of San Francisco County in 1856, Redwood City was designated the County seat, and the town grew slowly but steadily around shipping and government. It became one of the primary towns on the San Francisco Peninsula and had a strong downtown until the middle of the 20th century. As with so many American downtowns, it declined with construction of nearby malls and other shopping centers. 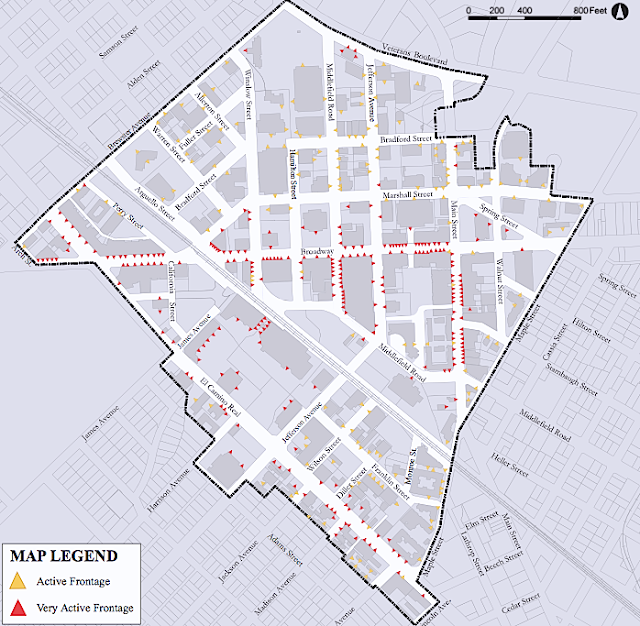 A redevelopment plan was drawn up in the 1960s to completely demolish historic districts, create superblocks, and pedestrianize primary streets. Thankfully, this plan was never implemented, and Downtown Redwood City limped through the late 20th century struggling economically, but physically intact. 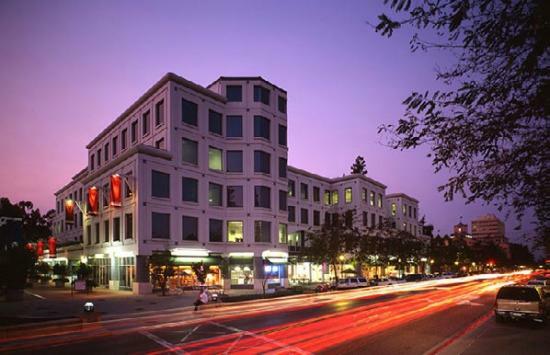 The citizens of Redwood City had long desired for their Downtown to be revitalized, and steadily demanded that actions be taken to improve the area. Some good steps were taken, such as the the 1989 preservation of the former fire station and its adaptive reuse into the main city library, the construction of a new city hall in 1997, and the development two city-assisted housing projects in 1998 and 2002. Some missteps were also taken, such as the construction of a suburban-style shopping center directly next to the Downtown commuter train station in 1994. However, the turnaround really began in earnest at the turn of the millenium and is now a juggernaut. It has progressed generally as a three-phase process.